Are you looking for solar photovoltaic panels? The photovoltaic solar panels distributed by heliosolaire have been rigorously selected on criteria of high quality and optimum efficiency. heliosolaire offers a full range of photovoltaic solar panels from Hyundai, Kyocera, Qcells, Sharp, LG, Trina Solar, Mitsubishi and Panasonic manufacturers at the best market rates at factory rates and with certified manufacturer warranties. Photovoltaic solar panels enable you to save energy and increase your energy self-consumption or to resell the green energy produced to power utilities. heliosolaire offers you photovoltaic solar panels for your project of solar installation of solar power plant in roof or on the ground and in the order of several megawatts. With our office in heliosolaire in Asia you will be supplied with photovoltaic equipment at the best rates and will handle all import and export logistics procedures and transport throughout the Supply Chain. Do you own a buildings for agricultural or industrial use with a large roof ? Make it profitable with an installation of photovoltaic solar panels, this will allow you to ensure a regular income with the resale of green energy produced over a period of 20 years. Contact us for your project of installation of solar farm shed, we will bring you support and expertise. Hyundai Heavy Industries started manufacturing solar modules and photovoltaic panels in 2005 and now has a constantly growing annual production capacity of 300 MW. The group designs and manufactures high-quality photovoltaic solar panels and cells through strict control of materials and production processes. Hyundai Heavy Industries benefits from more than one major R & D pole guaranteeing a constant optimization of the performance of the solar panels Hyundai proposed by heliosolaire. 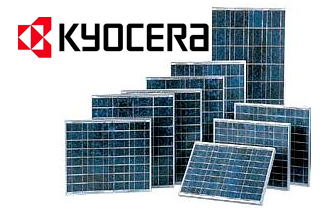 Kyocera is one of the few companies on the market that carries out all the stages of photovoltaic solar panel production without any additional purchase of intermediate products. Take advantage of more than 38 years of experience as a pioneer in the solar cell market and opt for a solar photovoltaic solution perfectly suited to your solar photovoltaic installation project by choosing from a wide range of photovoltaic solar panels by heliosolaire. The 4th generation of solar cells Q CELLS has been optimized from every point of view: higher efficiency, higher reliability and durability, faster installation and smarter design. The Q.PEAK monocrystalline family is back, equipped with the new innovative Q.ANTUM technology. The photovoltaic solar panel design equipped with photovoltaic solar cells, which holds the world record, was designed to achieve the best performances in real conditions, even when the intensity of radiation is low or the days are sunny and hot in summer. Sharp photovoltaic solar panels stand out for their ease of integration and reliability. The Japanese group owes its place as a leader in solar photovoltaic energy thanks to a presence of nearly fifty years in the photovoltaic cell industry. 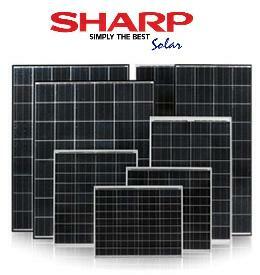 In the field of housing, Sharp has been offering photovoltaic solar panels since 1994. The Sharp photovoltaic panel and proposed by heliosolaire are of 3 types: monocrystalline, polycrystalline or mixed crystalline / amorphous with ranges of power from 256 Wp to 320 Wp. LG photovoltaic solar panels are high quality modules with exceptional yields. The company concentrates a large part of these activities on innovation which allows the Korean company to develop its own technologies. So in 2015, LG presents its solution NeON 2 based on photovoltaic technology CELLO which consists of replacing the 3 ribbons traditionally used by 12 busbars on photovoltaic solar panels. This innovation, rewarded by the Intersolar 2015 award, has significantly improved the performance and reliability of LG solar panels. 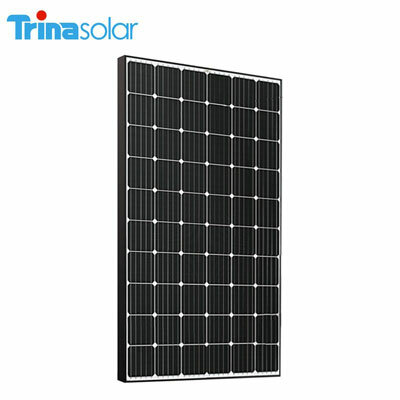 Trina Solar solar photovoltaic panels are quality modules at competitive prices. Moreover, the company has long been a reliable player in photovoltaic module manufacturing, thanks to its research and development policy focused on new technologies. The company has thus developed a new PERC (Passivated Emitter Rear Cell ) integrated into the cells in series through the Honey M Plus photovoltaic module. In these modules, Trina Solar has integrated several innovative technologies, such as quality wafers and passivation of the back surface with new dielectric layers. Mitsubishi has been a pioneer in the field of photovoltaics as a Japanese leader in photovoltaic power generation since 1976. 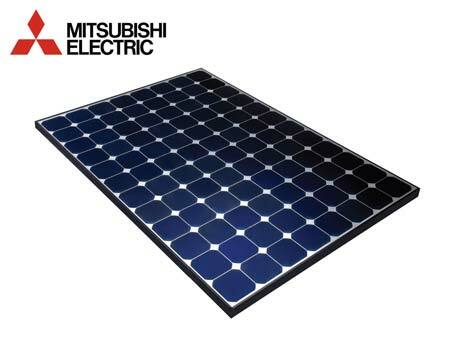 Mitsubishi photovoltaic modules are characterized by an exemplary finish and a very high production efficiency, which classifies these modules in the high-end. For example, the 120-unit Diamond monocrystalline photovoltaic modules have power ratings of up to 265 Wp for 16% yields. The company Panasonic propose photovoltaic panels with efficiencies of 19.6% and high power up to 330 Wp thanks to its solar cell technology HIT (Heterojunction with Intrinsic Thin Layer). 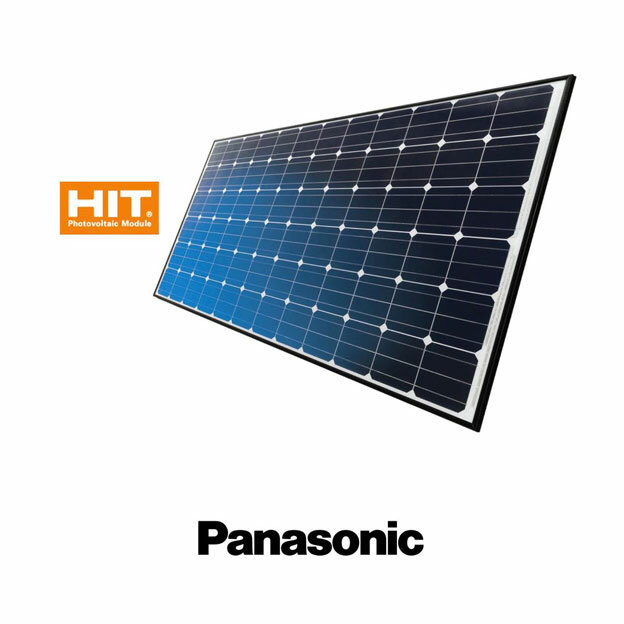 Panasonic photovoltaic modules are also distinguished with photovoltaic modules of 96 solar cells and frames specially designed to evacuate water to facilitate the self-cleaning of photovoltaic solar panels.